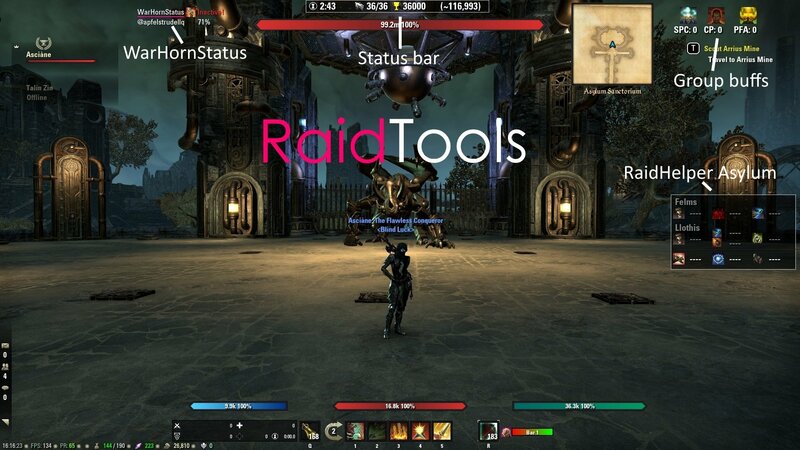 This addon provides various features focused on raiding. Utilizes LibGroupSocket to send information about equipped buff sets and the character's main attribute. Contains information about the selected player. Mundus, BuffFood and equipped 5P Sets. Tracks your trial runs. Open via command or by keybind. Small window which displays current time, vitality, score, estimated score and -during bossfights- the group single target dps. Additionally it notifies via chat when the target time or speed run time was exceeded. Notifies about hardmode activation on mini trials. 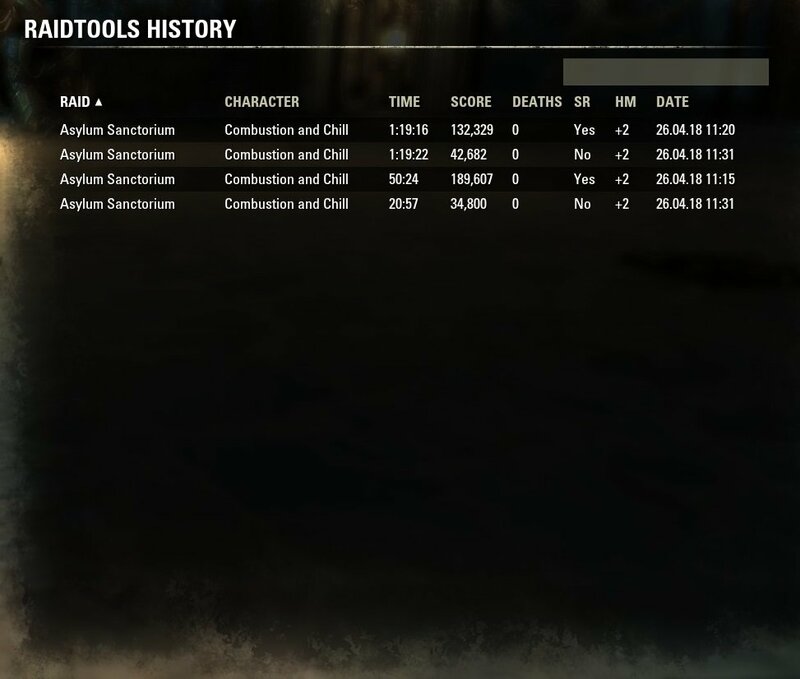 Tracks deaths and your personal resurrections. Prints out the full death recap in your chat. Prints information about the score requirements when entering the weekly trial. Provides information about the new weekly trial (tuesdays). Gives you a list with which characters you got your weekly rewards. Graphic information/alerts about timings, mini boss uptimes, enrage level etc. Audiovisual alerts when someone dies. Highlighted if a tank or healer dies. What do you mean with "real CP"? You can disable all features, except the buff set display. i love this raidtool, especially the history. 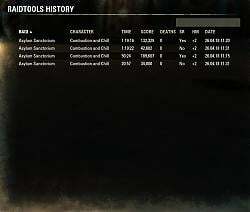 It shows me how many deaths my team had but every deathcounter for each member is shown as 0. Does this addon need an update? Hi there, i regret to inform that, according to our tests GDS and RaidTools have a problem when both are installed. I cant say wether RaidTools has some bug in it or GDS so i will post this error on both comment-pages. Each addon runs perfectly smooth on its own. Only combination thats acting up is RaidTools and GDS. Please look into it, as I/we dont want to go without any of those. @apfelstrudel: I already took care of that. Next time please use your own stringId for the callback function and not the one from an already existing addon. So I'm not sure what happened, but I updated this addon today and it messed up my chat settings completely. 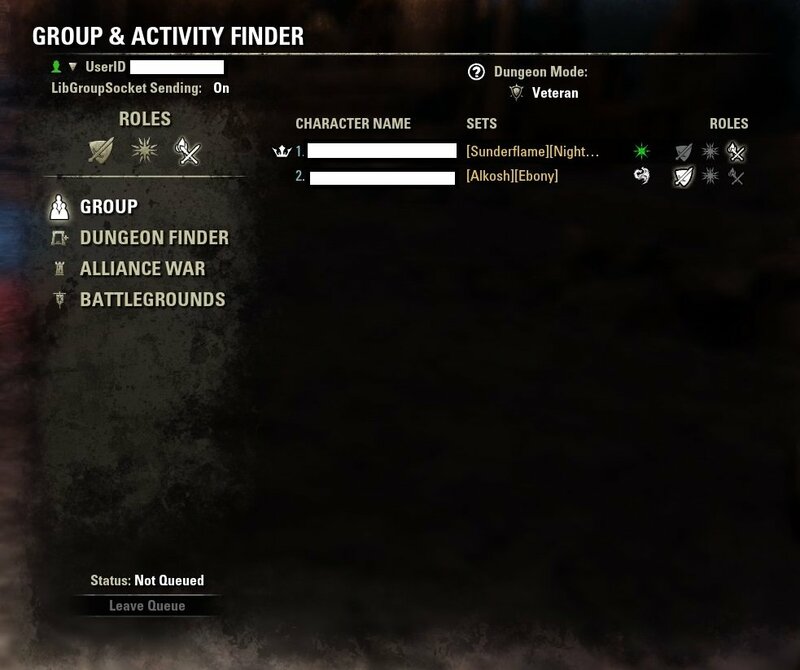 No more timestamps, no guild numbers, zone chat shows character names and the formatting is messed up, chat msgs are now not saved (to be loaded up again when I relog) etc. I use pChat for all of this. Edit: Just tested by disabling raidtools - yep, this update is the issue. Fixed in 0.99b. Should be up in a few minutes. Last edited by Jadax : 05/20/18 at 12:16 AM. I really like this addon but elements like the status bar are way too large. 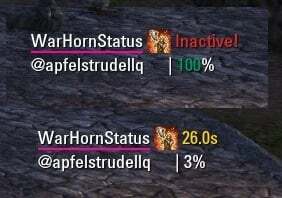 A way to change the size of it and other UI elements would be great. Thanks. If I May ask what resolution are you playing on? 2560x1440. I managed to fix it by modifying it myself, not ah uge deal. I'm having a pretty major issue with the addon though. 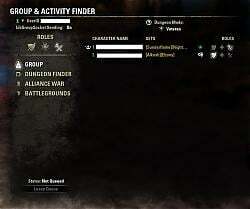 When it's enabled, no one shows up in my group window. Disabling it fixes it. Can't click on anyone's name and promote/invite etc. You need to reenable the group overlay. Thats fixed in the upcoming version. How is the warhorn status supposed to work? I can see my status but no one elses. They just show as "no data". Do they need to be running the addon as well or does it work through libgroupsocket? It does work via LibGroupSocket but they need the addon too. The general status inactive/active/major force works via the normal buff tracking but the ultimate percentage via LGS data transmission. The catch is that I changed the LGS protocol completely in 0.71 and older versions aren't compatible anymore. Additionally there is a nasty bug when a trial is entered to often or you reload your ui in a trial that it doesn't register and it just doesn't start sending data. Are you still getting this error in RT version 0.4? I tried everything, but I am not able to reproduce this error. Yep, still getting this - maybe it has to do with my addons? Propably as everything is working with my pChat installation.